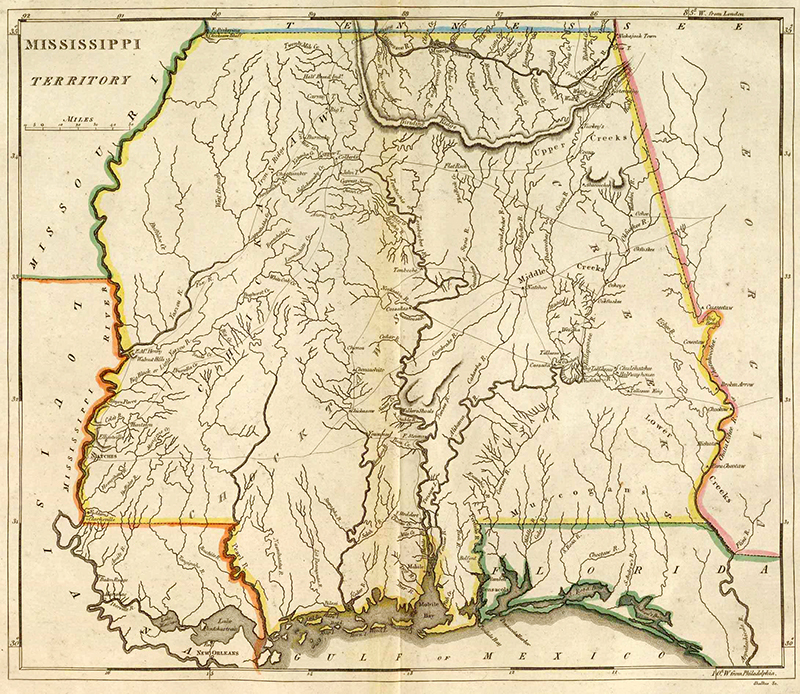 A map of the Mississippi Territory published ca. 1813 by Mathew Carey. The right half of the map is the present-day state of Alabama.